I should have this parenting figured by now, shouldn’t I? I majored in Early Childhood. I was a nanny before a parent. I have five children, plus have fostered several others, in the past 12 years. So why do I feel like I know less than before? As a young mom, I strived for the Mom of the Year award. I knew I wasn’t close, but at least wanted to give the impression I was! I was mortified if my toddler threw a fit in the grocery store or picked her nose in church. I would never share my fears of failure, ask for advice on that nasty diaper rash or admit that I was struggling in my marriage. Sure, I would discuss the most absorbent diapers with my girlfriends but was so reluctant to share that I didn’t have parenting figured out. I was a pro-mom! A few years into this parenting journey, one of our children began showing signs of serious mental distress. A tragic event sparked tantrums and nightmares that we didn’t know how to handle. I finally broke down and admitted to our pediatrician that my child’s behavior was causing major disruption in our family and our marriage. He referred us to a family therapist. It took my husband and I another month of wrestling with our child and our pride before we finally called the therapist. What a huge relief to have someone to share our struggles with! The therapist helped us realize that even ‘pro-parents’ can use some help! Many years and many children later, I’m continually asking more experienced moms for advice on teenage drama, toddler tantrums and even yeast infections. Nothing is too embarrassing to ask another mom about and share parenting joys and failures. A great mom is not a woman who knows how to parent perfectly. A great mom is a woman who seeks wise counsel. Thanks for the wise words! I was completely clueless when I started to parent, and I mean that wholeheartedly. When eldest was born, I was so freaked out I asked a friend at church what songs I should sing to her as I put her to sleep. Yeah, I was that clueless. But I watched other moms, read tons of books and learned a lot. Sadly, my competitive spirit took over and I decided to be SUPER MOM, better than everyone else. That attitude did not serve me well. 🙂 I failed all over the place. I’m reading a great book on the topic of mentoring called Impact My Life. 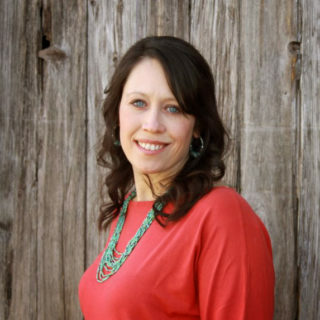 (http://www.impactmylife.net/ ) In that book, Elisa Pulliam talks about seeking wise council from other women, forming relationships to learn as we go along, not trying to do everything (including motherhood) on our own. I think it goes right along with what you just said. We are not meant to be alone, so we should not try to raise our children without seeking wisdom from others. Another writing your mama would be proud of. Time to add the next 2 after “our youngest child” OK? Love you MORE! and I think you two are terrific parents. I had the opposite happen to me. I was all ready with my pediatric book on expert child-rearing when my son was born. He did NOTHING according to the book. At three yrs. old, I was exhausted and searching for answers when comparing my son to others his age, since he was in constant motion, slept about an hour a day and had no interest in food. I then found out he was autistic. Five years later, I had a daughter who did everything by the book. I love them both equally, and I feel the job of parenting never gets easy, no matter what age they are. It seems to be a lifelong learning process if you care about them, right?